A right of way or easement is a valuable interest in land which may be crucial to the full enjoyment and value of a person's property. It is always preferable for a right of way to be comprehensively documented so that all doubt concerning issues of interpretation is removed. Sadly on many occasions the rights created are drafted in very general or vague terms which leaves room for doubt and misinterpretation. In other cases no documentary evidence is available so disputes can very easily arise. We see many instances where Prescriptive Easement situations exist and arise from continuous and open use for more than 20 years without permission. In such cases these Prescriptive Rights acquired need to be protected by registration at HM Land Registry. Neighbours often find themselves in dispute over the problems concerning shared drives and parking difficulties. In the same way as restrictive covenants are important on high-density estates, similar problems can arise over the use of private courtyards and the like. 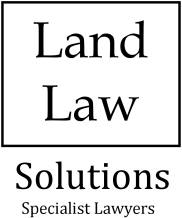 Whether your right of way requirement relates to residential property, a commercial situation or perhaps to a development site, our wide experience in this area is available to assist you. For further information visit www.RightsOfWaySolicitors.co.uk where you will find further background on this subject and an outline of how we may be able to assist you.